Showing results for tags 'n55'. 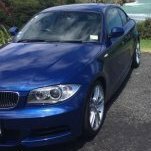 Hi All, New to the group but I used the page and forums extensively to help me decide on my purchase of my e82 135i. My old man has had an e30 320i Baur edition for some time. It got a full engine, suspension and brake over haul last year and it got me inspired to get my own 6 cylinder bmw. 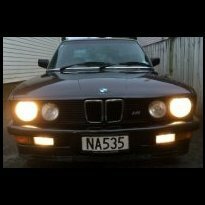 With a work Ute for personal use my bm of choice didnt need to be practicle and my teenage years thrashing my Toyota Levin to and from the family Bach in Whangamata left me wanting to get back into a chuckable 2 door coupe. The reseach and trademe hunting began. It would be nice to find some thing NZ new with a service history but I realized they were pretty few and far between and the jap import stuff was often better specd. Soon I was test driving, 130i hatch with the 6speed auto, a couple of 335i one of which I didn’t even make it off the the dealers lot with engine lights on and only 5 cylinders firing from start up, serveral 135i and the later m135i in manual, auto, dct, n54 and n55. Eventually the hydraulic steering, engine and turbo noises and useabilty of the dct n55 had me focused on finding a good condition later model jap import e82 135i to fit my budget and one did! I wasn’t a big fan of the alloys it had on it but the dealer sorted this out along with Bluetooth, NZ nav and radio unlock, an autosure mechanical warranty and had it ready for me just before Christmas. 3000km of smile inducing trouble free motoring done so far. So thanks to all that post here it was a great help in in leading me to what has been a very happy purchase and I look forward to contributing to the group going forward. Cheers.